Throughout your drug addiction treatment program as you battle substance abuse, you will likely encounter a variety of difficult, and possibly discouraging, experiences. These situations, though at times difficult to navigate and overcome, are a natural part of the drug addiction treatment process. As you work with a therapist to battle these moments of discouragement, consider trying an adult coloring book as a mental health lifeline. Though you may scoff at the idea, adult coloring books have been scientifically proven to help maintain mental health and intelligence. Coloring books have been used to promote a strong mental health since the time of Carl Jung. Coloring has been used as a form of relaxation and meditation and adult coloring is no exception. In many cases, the structure and interactive nature of coloring works therapeutically to decrease stress and help with depression and even eating disorders. Because coloring helps individuals revert to a period in their lives when things were simpler, the calming effects can be applied to a myriad of different situations. Perhaps you begin to struggle with depression throughout substance abuse recovery, coloring may be prescribed throughout your therapy treatment in order to help you cope. Coloring uses both hemispheres of the brain and psychologically creates balance and calm in the lives of those who are coloring. With the help of a designed piece of paper and a few colored pencils, you can reduce stress, reach inner calm and stimulate your brain in an organized, non-stressful manner. At any point throughout your drug addiction treatment coloring can be used as a therapeutic release during the difficult times encountered throughout substance abuse treatment. 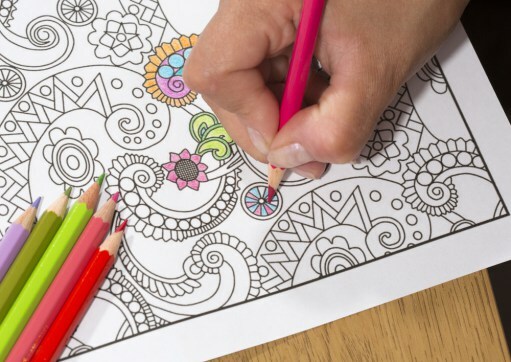 Coupled with a combination of other forms of therapy and counseling, coloring can be a calming way to work through the stress that sometimes accompanies substance abuse treatment.